This is Coach Johnson’s first year with the Lions, serving as the head freshman coach for the 2017 season. Coach Johnson grew up in the Central Florida area playing Baseball, Football, Track, Basketball and participating as a member of the Swim Team. He was a multi-letter athlete every year in High School. 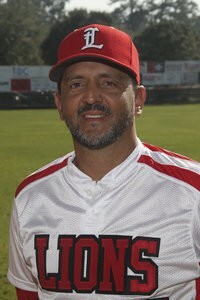 He’s since been coaching baseball for the past 20 years, serving as the Rickard's JV Head Coach in the recent past. He has 4 kids, with his the oldest, Courtney Johnson, also coaching at Leon as the Cheerleader Head Coach.